Nordstrom is having a sale where shoes are 40% off right now! That's a huge sale and I think it needs to be taken advantage, especially with Fall quickly approaching us. Booties are a big trend we are seeing, and something that will make it easy to transition into Fall. I picked out six of my favorite booties from the sale, I just now need to decide which booties to buy!! Great picks! 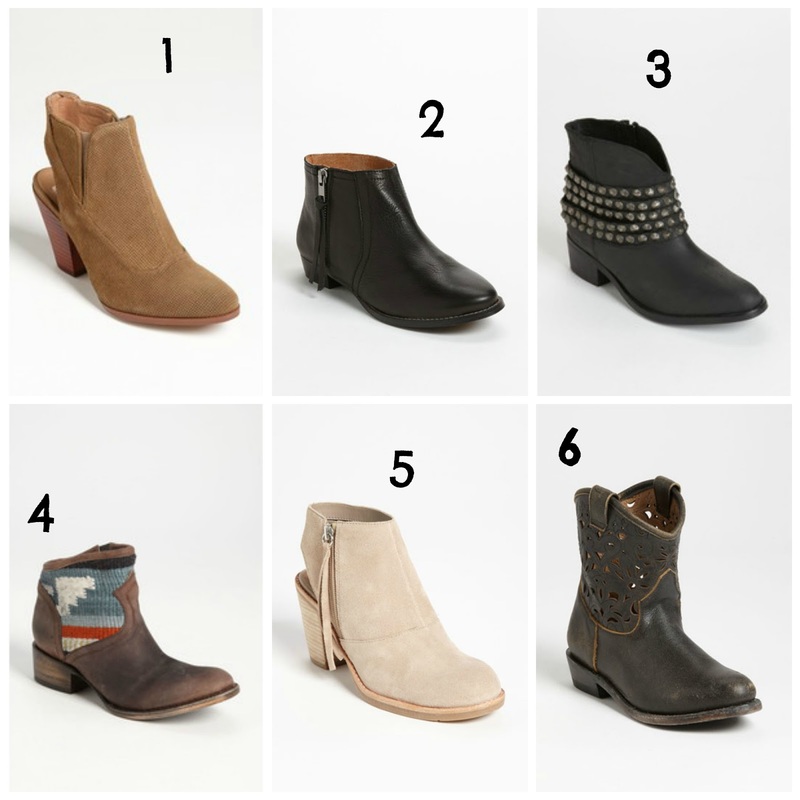 Especially loving #2 and the cut out heel on 1 and 5...I think that is the first time I've seen that!